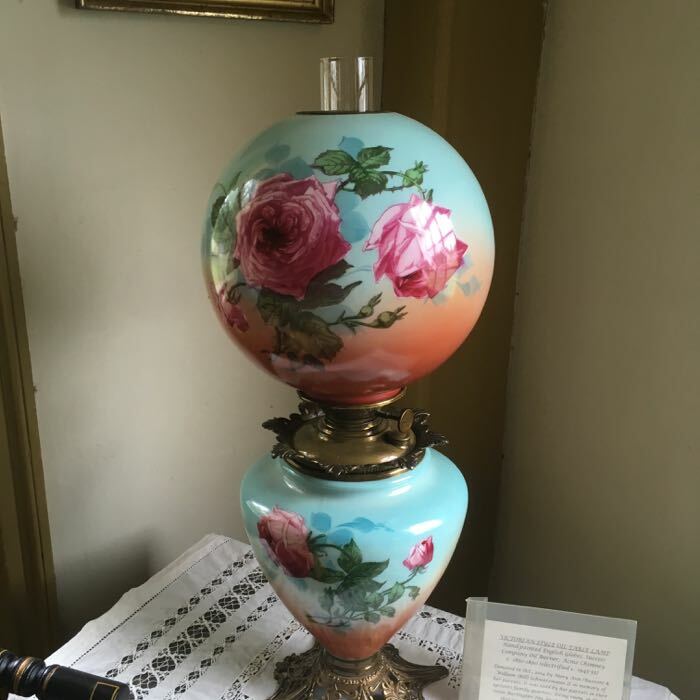 Very few, if any, of you have stopped to think about all the Connecticut museums you’ve driven by a million times and have never visited. It’s a refrain I hear all the time when people email me or speak with me about CTMQ. And it’s fine. I totally get it. And I still have dozens of places I’ve driven by a million times and have yet to visit. 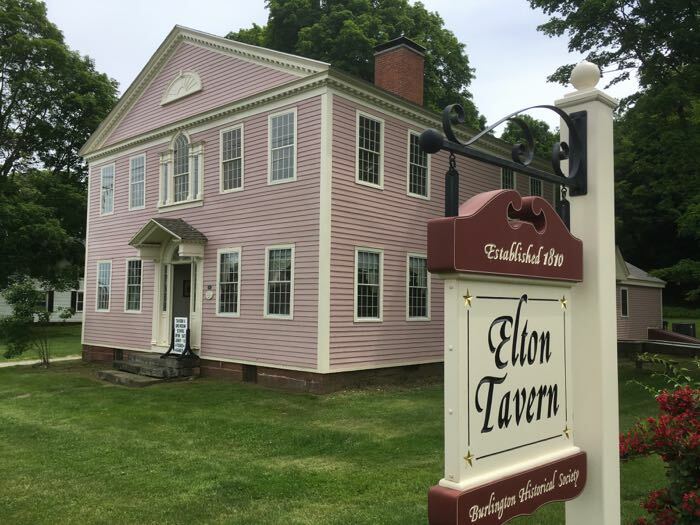 Then there are the museums like the Elton Tavern in Burlington… the almost garish pink 1810 Federal style building on route 4, prominently in the center of town at its most busy intersection. Everyone notices it. Everyone’s aware of it. Everyone drives by it. But who has visited? 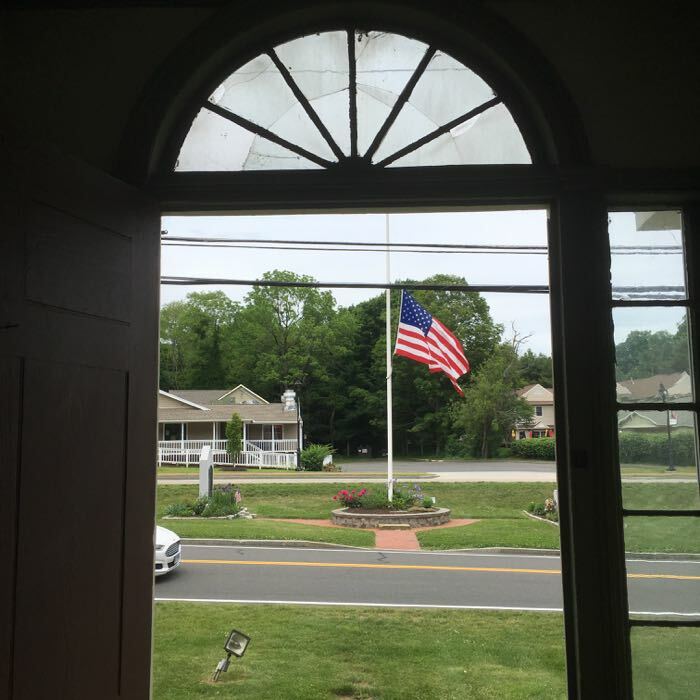 It’s only open for visitors a few times per year, including the Connecticut Open House Days held annually in early June. 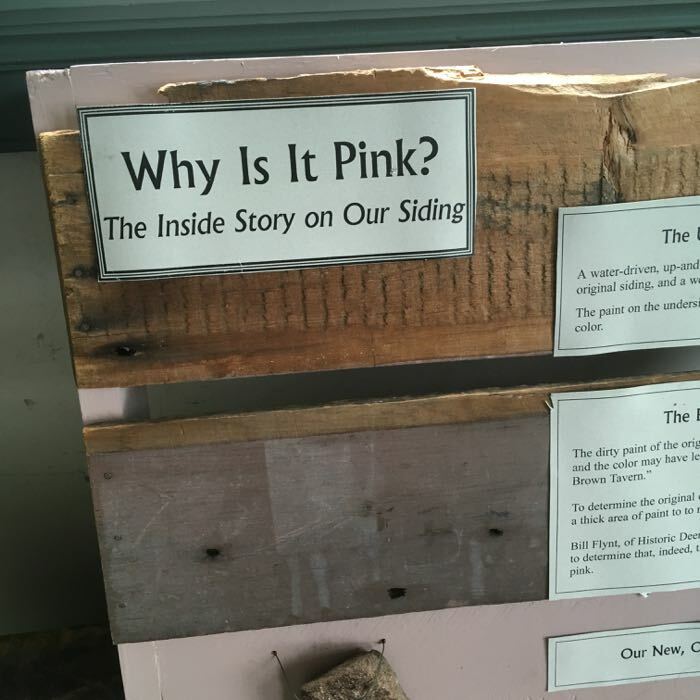 I was excited to finally check out “the pink house” and was not disappointed. The building, built by Giles Griswold, served as a private home, public house, and inn during the 164 years until the town of Burlington purchased it in 1974. 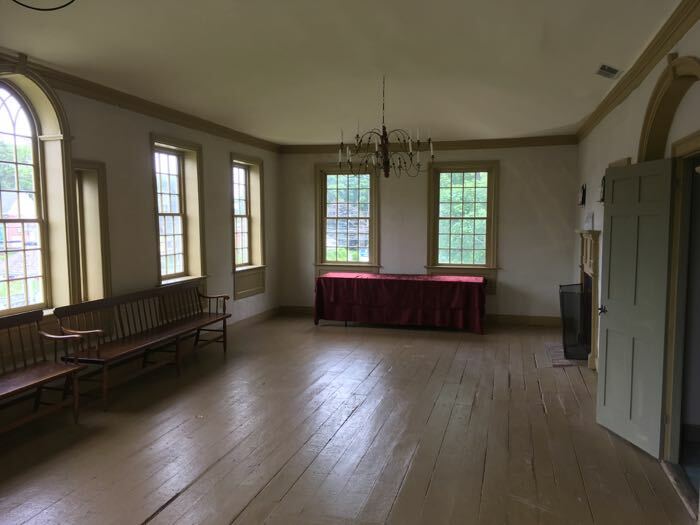 It was first a private home, but since it was located on a major stagecoach route from the Farmington River Valley out to Litchfield, the commercial element was added. The front rooms of the Elton Tavern are set up like… a tavern. It gets mildly confusing here because the building was a house… then a house with a tavern… then a tavern… then a house… than an inn, etc. Or something like that. The historical society folks have done a good job of capturing the different eras and lives of the building. We’ll get to why it’s pink and why it’s called the Elton Tavern in a bit, but let’s go back to the beginning and Giles Griswold. He was a successful merchant in town and saved up his money to build what was then his house. My man put in 7 fireplaces, which was kind of bonkers in the early 19th century. All was well for Giles; he got married and had 10 children! But then one died. Then the world fell apart and he lost his fortune and he chased it again and then the house was foreclosed on and he died. A few years later, a guy named Julius Hotchkiss bought the joint and he held a tavern license. 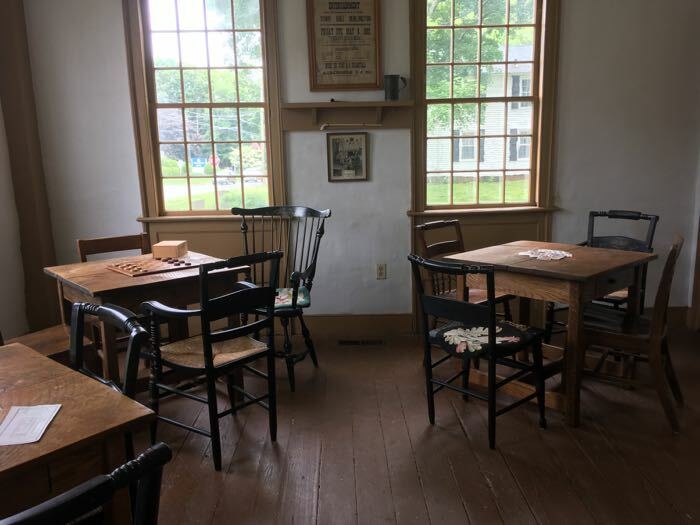 Tavern licenses were granted to people of high standards who could be relied upon to keep order and guard against drunkenness, gambling and other vices that were prohibited by State law. In exchange for the highly profitable business of selling alcoholic beverages the tavern keeper was required to offer overnight accommodations. The minimum requirement: one bed and a barn to shelter two horses. 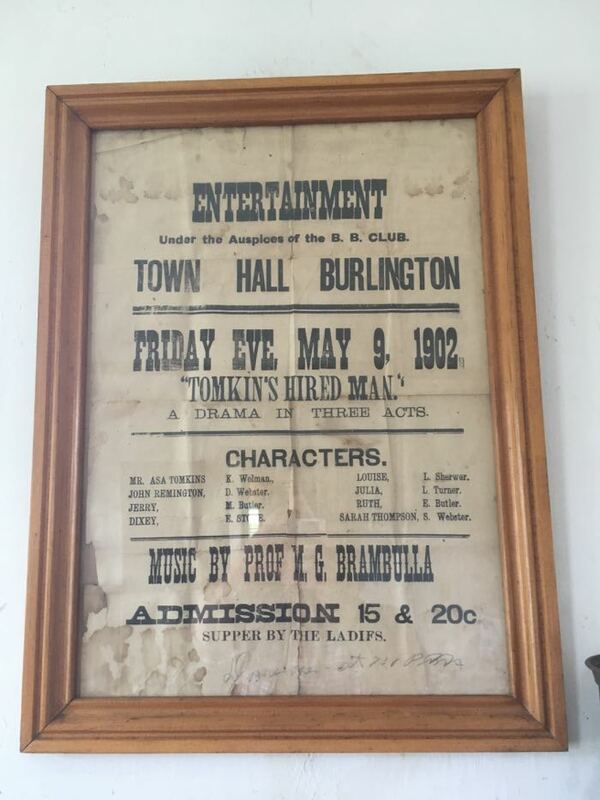 Taverns became an important factor in the social and political life of rural areas such as Burlington, as people gathered there to exchange news and discuss business. Many taverns were mail stops, and they might have had the only newspaper available in town. Hotchkiss had a good thing going here. Ok, not really. He lost a child before he bought the tavern and then his wife and then he himself died a year after buying it. The building passed through a whole bunch of people after that and it was a real mess. The 1830 census shows eleven people living in the same household; the 1840 census includes ten people. The temperance movement killed the place and it was foreclosed upon again. Another owner, and then, finally, one Mr. Romeo Elton bought the joint in 1854. He was a local guy that everyone respected, so he got a tavern license and… huzzah! He owned and lived in the building all the way until 1889 when he died. Since Elton owned it longer than anyone, the historical society chose his name for the modern day museum. I’m Just bummed they didn’t go with his first name. A pink “Romeo Tavern” would have been fantastic. 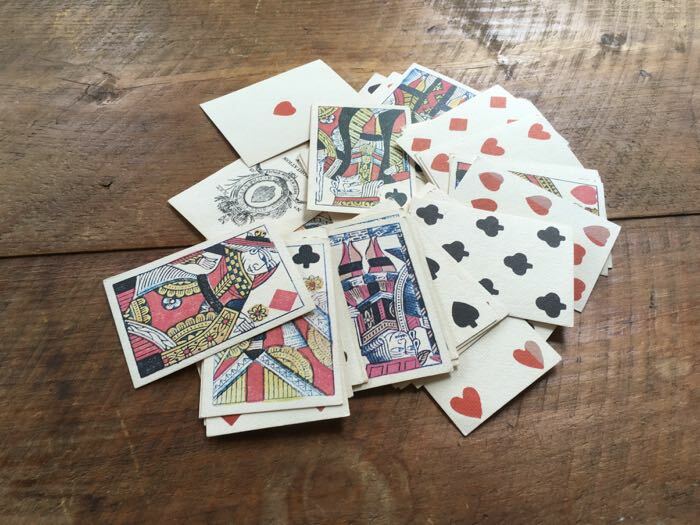 Trains and cars were invented, and roadside taverns became cool again. Several more owners and their families came and went, all the way up until 1974 when the town purchased the property for $32,000. 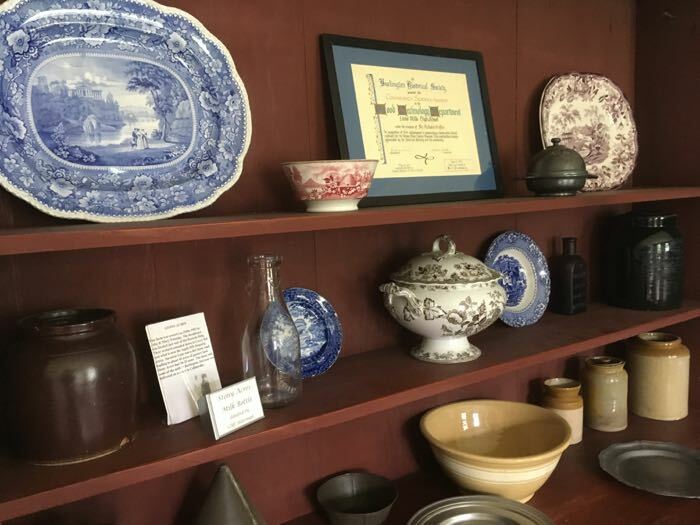 The Burlington Historical Society only had $68.00, but through state grants and such, they made it happen. Since then, there have been a few massive improvements to the structure – as well as a bunch of efforts to restore parts of it to be more historically accurate. You know… like the exterior paint job. This was a whole thing for the society. They sought the guidance of scientists from local universities random guys from Deerfield, MA to study and analyze paint colors and what not. They looked at the hand-sewn timber and scraped it and looked at the paint under a microscope. This was complicated by the brown and other paint jobs over the years. 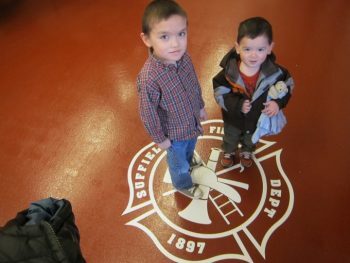 But once it was determined they were looking at the orignal original paint color, it was determined to be… dusty pink. The taverns is incredibly well built. The wide floor boards don’t creak and every rooms seems much cozier than you’d expect from such a historic structure. The restoration efforts were clearly skillful and respectful of the past. 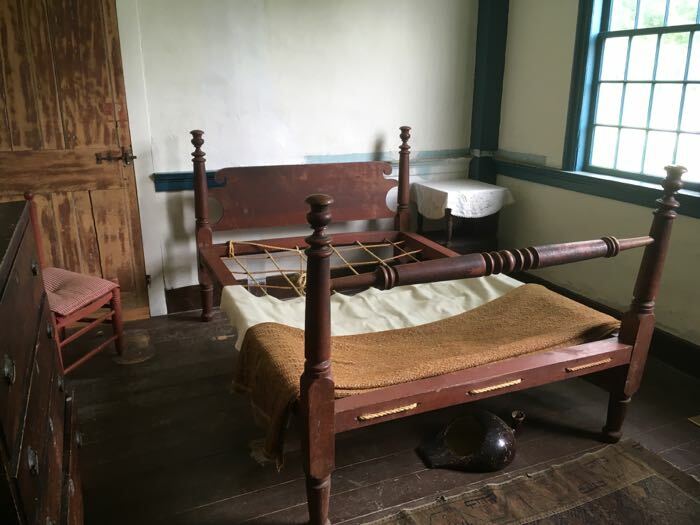 All the usual historic house museum stuff is here (the rope bed, the spinning wheel, etc.) 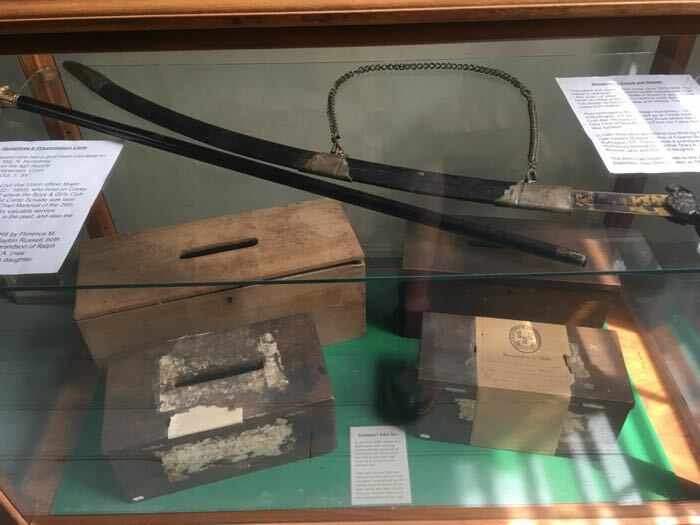 but there are some unique local industry items as well (guns and clocks). On CT Open House Day, a few of the guides were dressed in period garb, which I’m often uncomfortable with, but I really dug this crew. They were fun and funny and made my visit to the “pink house” memorable.